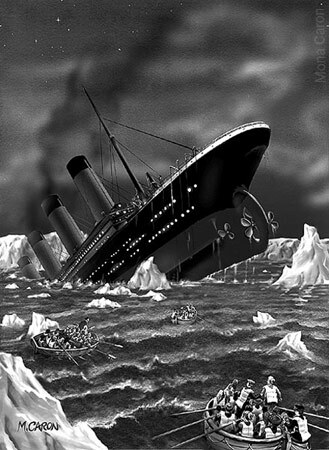 Filed under: books, musings, news, tricks & techniques, trivia, history, menu, titanic, ТИТАНИК. 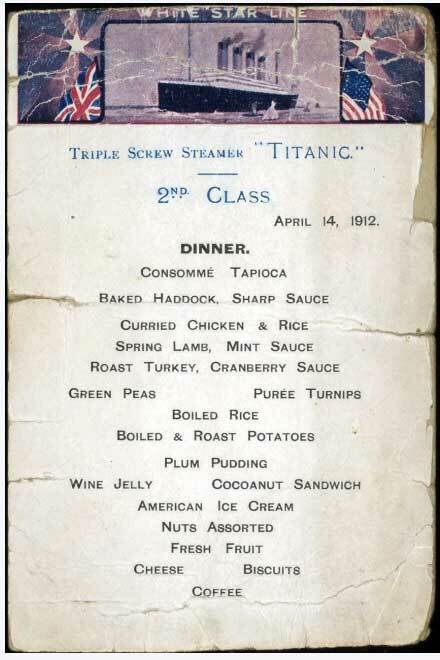 What the second and third class passengers on the Titanic ate. 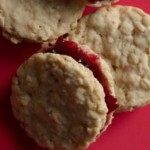 Aside from the coconut sandwich, nothing is particularly unusual or foreign from food most of us would still eat today. Breakfast: Oatmeal, porridge and milk, smoked herrings, jacket potatoes, ham and eggs, fresh bread & butter, marmalade, Swedish bread, tea and coffee. Dinner: Rice soup, fresh bread, cabin biscuits, roast beef and brown gravy, sweet corn, boiled potatoes, plum pudding, sweet sauce and fruit. Tea: Cold meat, cheese and pickles, fresh bread and butter, stewed figs and rice, and tea. Supper: Gruel, cabin biscuits and cheese. 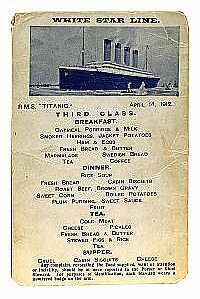 You may also be interested in reading about what the first class passengers on the Titanic were eating. In the vernacular of the time, a “sandwich” also referred to a sponge layer cake. 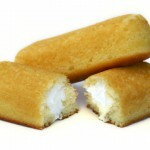 The ‘cocoanut sandwich’ was probably a layer cake with a coconut icing and/or filling. Look up “Victoria Sandwich” for period recipes.